Whoa … let’s step back and get some perspective here. John Alfred (J Alfred) Magoon was the son of John C and Maria Sophia Eaton Magoon. John C Magoon was born on December 9, 1830, at Litchfield, Maine. In 1857, he married Maria Sophia Eaton; the newly married couple started west and settled in Kossuth, Iowa, where their son and only child, J Alfred Magoon, was born on July 22, 1858. After suffering intensely from fever they made their way back to Maine, having endured the greatest hardships in the journey owing to the primitive mode of travel. In 1863, Mr Magoon went to California, where in 1869 his wife and son joined him. J Alfred enrolled in Heald’s Business College remaining there until he graduated. He entered mercantile life immediately, filling the position of bookkeeper with several well-known firms. He was engaged for a time in the office of the Santa Rosa Democrat. 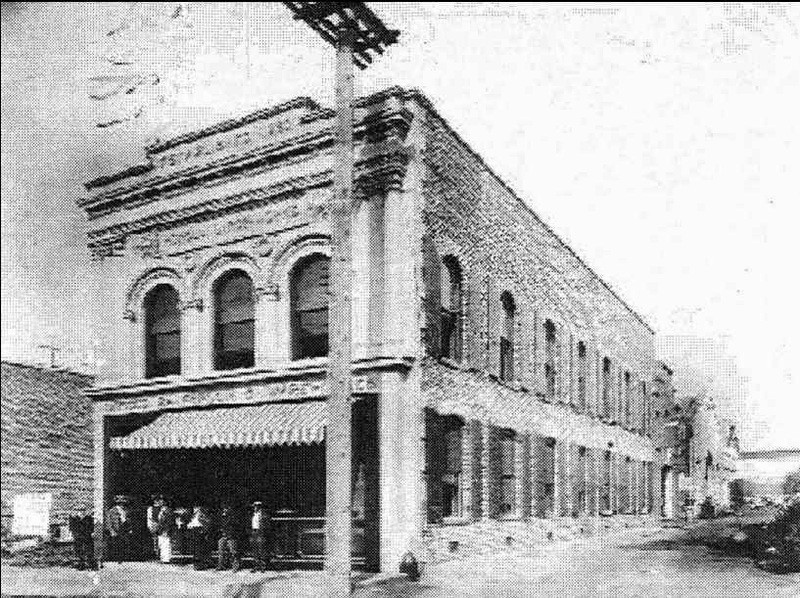 His father bought a ranch near Lower Lake in Lake County and was afterward engaged in quicksilver mining until he and his wife came to the Hawaiian Islands in 1876. Being a farmer he located at Wahiawa, Oʻahu, but a drought destroyed his crops and he moved to Honolulu. J Alfred joined them shortly afterward and secured a position as bookkeeper on the Halstead plantation at Waialua. It was during this engagement that he decided to adopt law as a profession, and spent what spare time he had reading his law books. 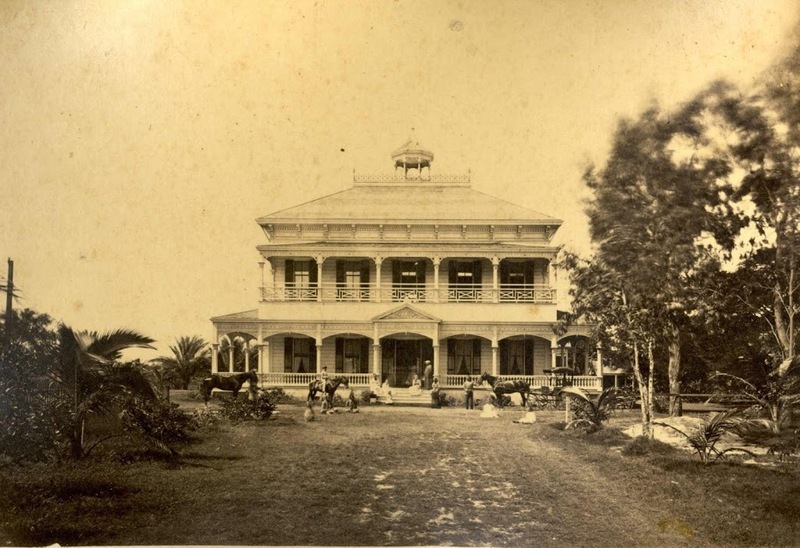 He remained on the plantation for a year and then entered the office of Benjamin H Austin, where he remained for a year, when his straitened finances compelled him to abandon it for the more lucrative position of deputy sheriff at Makawao, Maui. He afterward resigned and took the position of bookkeeper at Paia Mill and pursued his study of the law as the opportunity was offered. In 1883 he resigned and went to Ann Arbor University, where he took a law course. Upon his graduation two years later he returned to Honolulu and was admitted to the bar. J Alfred married Emmeline Marie Afong and had 7 children: Julia H S Kamakea Magoon (1887-1933) – Harmon Anderson Kipling of California; John Henry N “Lani” Magoon (1889-1975) – Juliet Carrol; Chun Alfred Kapala Magoon (1890-1972) – Ruth L; Eaton Harry Magoon (1891-1970) – Genevieve Burrall Sicotte (teacher in Makaweli;) Mary “Catherine” Kekulani Magoon (1892-1996;) Marmion Mahinulani Magoon (1896-1969) and Emeleen Marie Magoon (1898-1974) – Orville Norris Tyler. J Alfred’s wife Emmeline was daughter to Chun Afong and Julia Fayerweather Afong. Afong made his fortune in retailing, real estate, sugar and rice, and for a long time held the government’s opium license. He was later dubbed, “Merchant Prince of the Sandalwood Mountains” and is Hawaiʻi’s first Chinese millionaire. Mary Catherine, the second daughter of Emmeline and J Alfred Magoon, married Frank Ward Hustace, becoming step-mother to seven Hustace children. 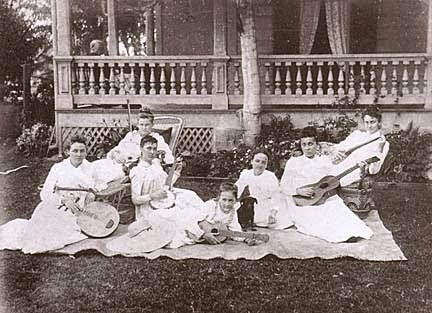 (Kauai Historical Society) Hustace was the first son of Frank and Mary Elizabeth “Mellie” Ward Hustace, the eldest of seven daughters of Victoria Robinson Ward. Victoria’s sister, Mary Robinson, married a Foster. J Alfred Magoon helped found the Sanitary Steam Laundry, invested in Consolidated Amusement Co and the Honolulu Dairy. He died and Emmeline took over leadership of his business interests. In her 70s, she moved to South Kona and managed the Magoon Ranch at Pāhoehoe – riding horseback and overseeing the cattle ranch. She died in 1946 at age 88. The family formed Magoon Estate, Ltd that continues to operate today. In additions to land holdings in Hawaiʻi, the estate owns the 21,000-acre Guenoc Ranch; and also owns and operates Guenoc Winery, a producer of premium California wines. OK, that’s enough, for now … by now, you should get the sense that there will be more stories on this and related families, properties and businesses. The image shows the Magoon Block (Cultural Surveys.) In addition, I have added other images in a folder of like name in the Photos section on my Facebook and Google+ pages.